smartflower POP+ enables anyone to start their own personal energy revolution. The integrated power storage unit makes this all-in-one solar power system – the only one of its kind in the world – up to 100% independent of the grid day and night. 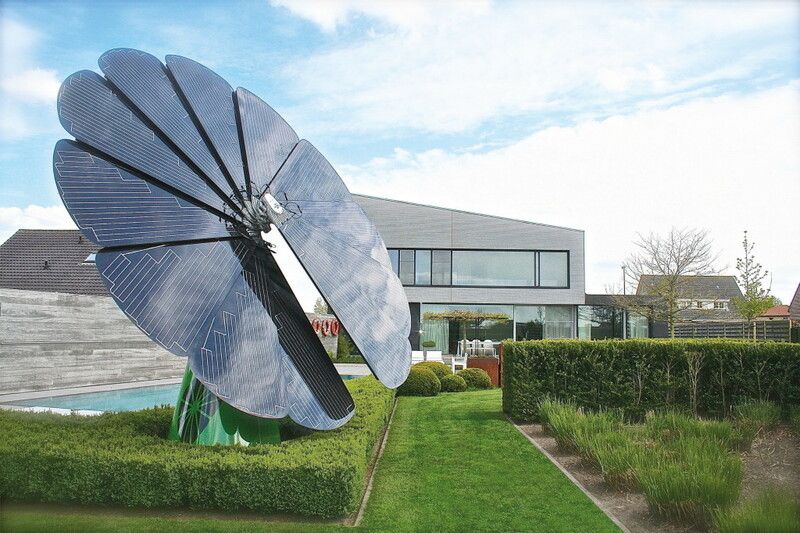 With the first rays of the sun, smartflower deploys its circular 18 m2 solar module panels and produces electricity. Both the design and the efficiency are inspired by the sunflower – with two movable axes, the system follows the course of the sun fully independently until the last rays of the day. This allows the system to provide up to 40% more electricity than standard immobile panels. “Independence is an essential topic for us. We’re not just interested in producing electricity in the best possible way, but also in using it efficiently”, explains CEO Alexander Swatek when talking about the motivation behind the new development. 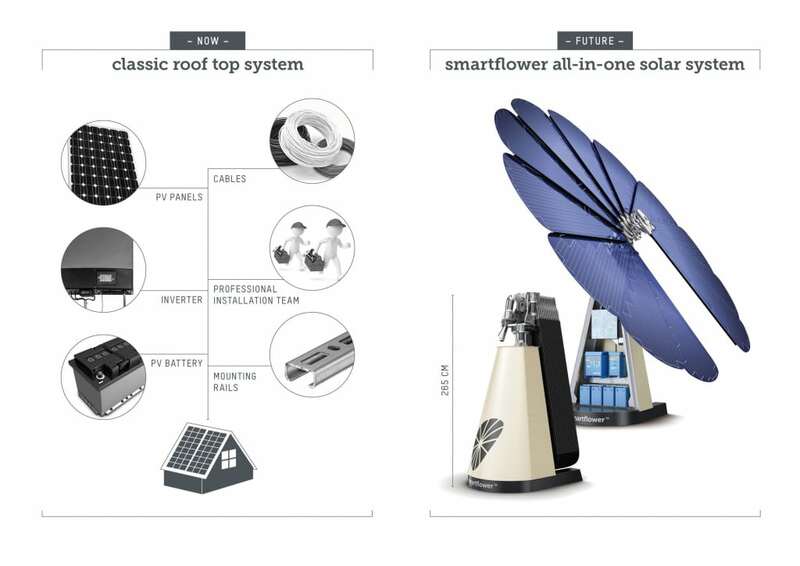 The simple installation of smartflower POP+ differs radically from rooftop systems that are complicated to install. It can be set-up on any freely available surface and is ready to use after less than an hour. This aesthetically pleasing solar system produces an annual yield of between 3,400 and 6,200 kWh, and in so doing covers the entire average electricity requirement of a household in central Europe (around 4,000 kWh per year). One of its best features is its mobility. It can be moved from house to house, providing solar power wherever you live, whether there is roof access or not. It’s fully integrated monitoring system allows you to watch the electricity flow as it is generated, stored in the batteries, then released as needed. Storage capacity is larger for off-grid systems and smaller for those that are connected. And for those who are aesthetically minded, it comes in several color selections, so you can coordinate it with your surroundings.